The Leagoo P1 smartphone is quite a portable one which is something some users especially ladies appreciate. It is also a quite solidly built smartphone with strong ergonomics. Like most budget smartphones the Leagoo P1 has a plastic casing which strips it of the premium feel peculiar to high-end devices. However, the overall design is quite impressive for a budget smartphone. Minimalist approach given to budget smartphones is the same thing we have here. The Leagoo P1 has a 5.0-inch 1280 x 720 pixels display which is quite the standard for smartphone of this price tag. As opposed to low budget, low Battery capacity common to smartphones in this category. The Leagoo P1 comes with quite a large battery capacity of about 4, 000mAh. Although there’s no fast charge technology here, the battery should last you over a day under normal usage. One of the standout features of this smartphone is it’s dual rear camera which is not common among low budget smartphones. It sports an 8MP + 5MP rear camera which is quite impressive for a budget smartphone alongside a 5MP front camera. In terms of hardware capacity budget devices features a rather a less powerful SoC which is understandable considering the price tag. The Leagoo P1 has a Quad-core MediaTek MT6580A processor running at 1.3GHx in combination with a Mali-400 MP2 GPU. Also, the smartphone comes with 8GB built-in storage which you might need to get a memory card with and can be increased to about 32GB. In addition, the Leagoo P1 features a 1GB internal memory space which is quite low but gets the work done. The smartphone features the Androids 7.0 Nougat straight from the factory. 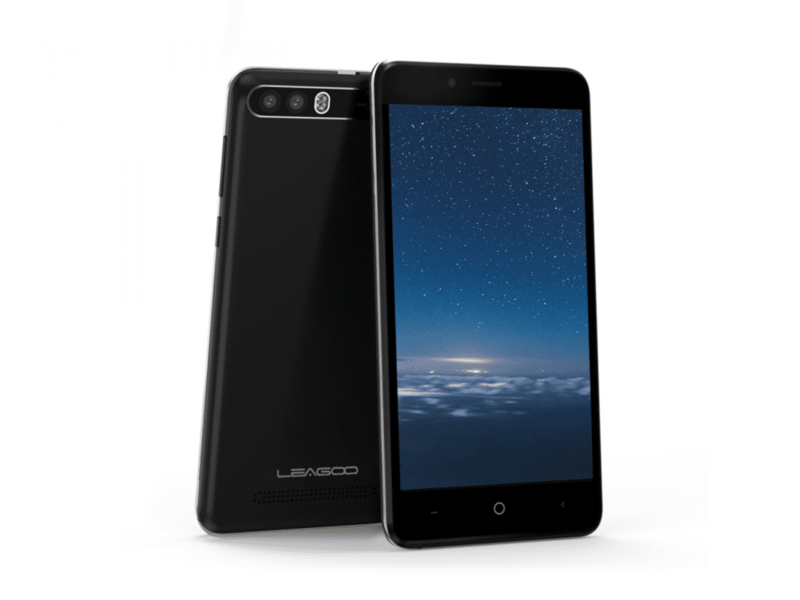 Leagoo P1 is widely available for sale in various online shopping platforms and smartphone retail outlet. It has a price ranging from 25, 000 Naira to 36, 000 Naira depending on your location and the deal you got.